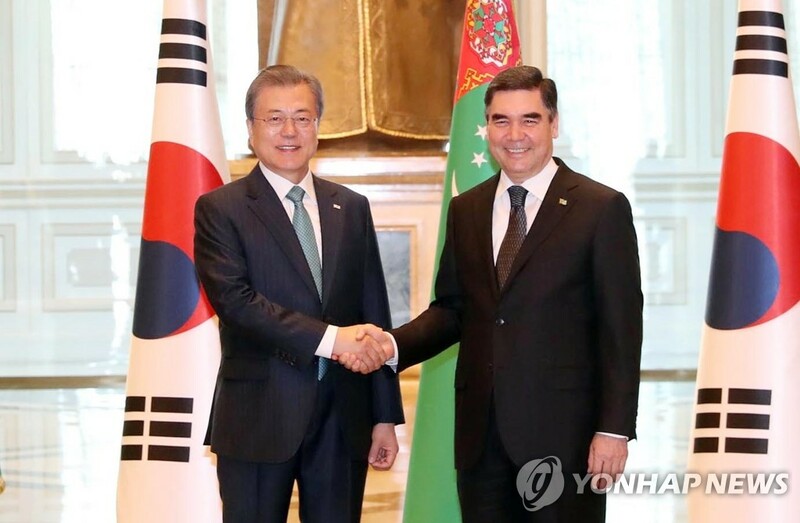 "(The countries) have maintained friendly relations since establishing their diplomatic ties through various economic cooperation projects, such as the Kiyanly petrochemical plant," Moon said at the start of his meeting with the Turkmen leader, according to Cheong Wa Dae pool reports. "I believe we still have the potential to do many more things," he said. Berdimuhamedow called for joint efforts to increase the countries' cooperation. "I believe your visit will be a great help to both countries. 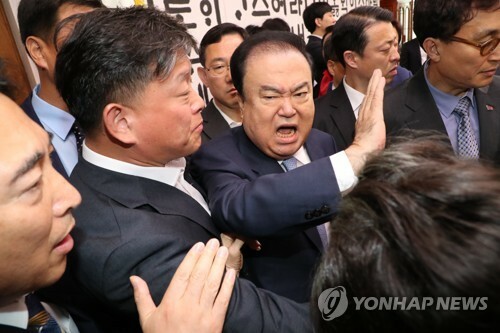 The Republic of Korea is one of the very important partners to Turkmenistan," he was quoted as saying. In a joint press conference held after their summit, Berdimuhamedow reiterated cooperation between the countries will benefit both sides. "Cooperation between the two countries is in line with the long-term interest of both countries and their people," he said. Moon said the countries shared the same goal of prosperity and peace in their region. "We two leaders agreed to closely cooperate for peace and prosperity on the Korean Peninsula and in the Central Asian region. President Berdimuhamedow expressed his support and cooperation for our government's efforts to denuclearize the peninsula and establish lasting peace," the South Korean president said. The leaders have also agreed to expand the countries' cooperation to new areas, including the health and medical care, ICT and environment sectors, which they said will lead to improvements in people's livelihoods in the Central Asian country, according to Cheong Wa Dae. 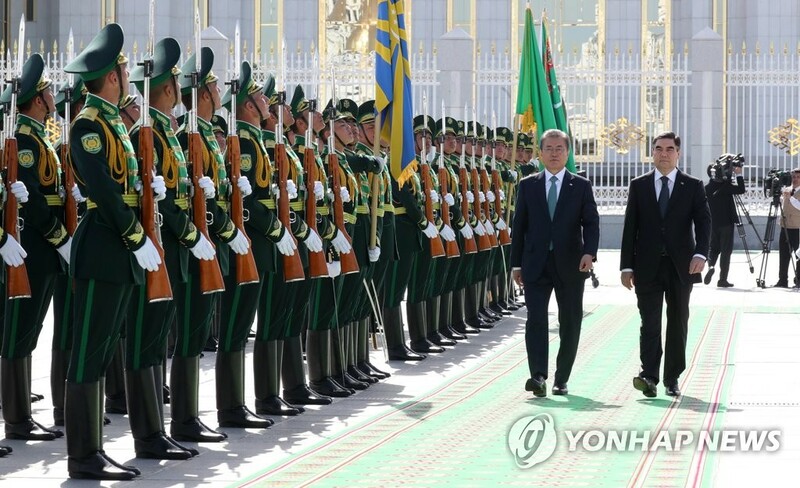 Moon's visit to Turkmenistan will end Thursday after a brief trip to the petrochemical plant in the western port city of Kiyanly.